Lenore Taylor, Chief Political Correspondent for The Sydney Morning Herald, debunks "wind turbine sickness". See the original posting of this article here. ''Wind turbine sickness'' is far more prevalent in communities where anti-wind farm lobbyists have been active and appears to be a psychological phenomenon caused by the suggestion that turbines make people sick, a study has found. The study found that 63 per cent of Australia's 49 wind farms had never been the subject of any health complaint from nearby residents. It found 68 per cent of the 120 complaints that have been made came from residents living near wind farms heavily targeted by the anti-wind farm lobby, and that ''the advent of anti-wind farm groups beginning to foment concerns about health (from around 2009) was also strongly correlated with actual complaints being made''. Study author, Simon Chapman, professor of public health at Sydney University, said the results suggested that ''wind turbine sickness'' was a ''communicated disease'' – a sickness spread by the claim that something was likely to make a person sick. This was caused by the ''nocebo effect'' – the opposite of the placebo effect – where the belief something would cause an illness created the perception of illness. He found a much greater correlation between negative attitudes to wind turbines and reports of sickness than any ''objective measures of actual exposure''. And he cited studies suggesting that the spread of communicated diseases was much faster when the ''illness'' had a name – such as Wind Turbine Syndrome, Vibro Acoustic Disease and Visceral Vibratory Vestibular Disturbance. Professor Chapman also cites a recent New Zealand study in which some healthy volunteers were exposed to actual ''infrasound'' – the sub-audible noise from wind farms claimed to cause health problems – and others to complete silence, which they had been told was ''infrasound''. In both cases the volunteers who had been told about the potential harmful effects of infrasound were more likely to report symptoms. There have been several parliamentary inquiries into concerns about the health impacts of wind farms and the National Health and Medical Research Council is conducting a second study into the available medical evidence for the health complaints. 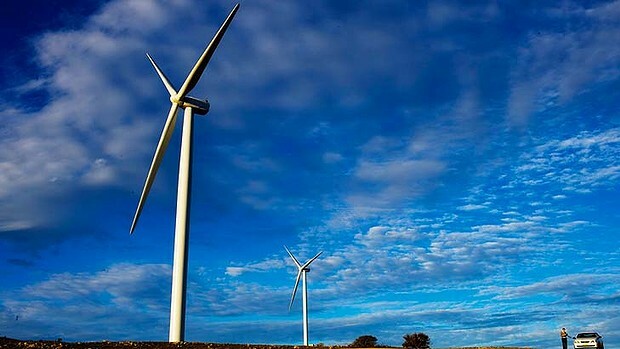 Parliament recently rejected a private members bill by independent Senators Nick Xenophon and John Madigan, which would have removed government subsidies from wind farms operating above certain noise levels. But the Coalition has said that if it is elected in September it will hold another ''expert'' inquiry into wind farm noise. The most recent Senate inquiry into the issue found no causal link between the noise from wind farms and symptoms reported by those who lived near them, but accepted that people were reporting that they felt unwell. After a ''rapid review'' in 2010 NHMRC said there was ''insufficient published scientific evidence'' to link wind turbines with adverse health effects. But some residents have continued to report suffering from sleep deprivation, stress and serious long-term health problems.